First photo came through last night! 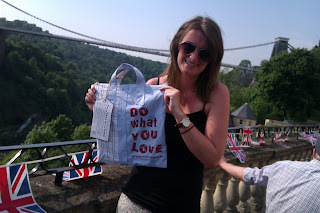 So bag no.10 has a new owner called Annie, here she is with her 'bags of love for Bristol' bag. And I can’t tell you how excited I was to get this email! So lovely that it’s worked AND it passed the ‘carrying beer test’ so that’s cool. Thank you Annie for sending your photo! So today, it took much longer to get the rest of the bags finished and it wasn’t until 16.00 that we ventured out to distribute the rest of them. Another glorious day so lots of people out and about enjoying the weather. Perfect. So tonight I’m having a bit of a rest and will start planning my folksy page. Have had such an amazing response for this project. I'm really chuffed to bits. Have also had some great ideas from a fellow 30DCer called Matt, on how to scale this project up for a wider audience, towns and countries, which is what I’ve been considering how to do. 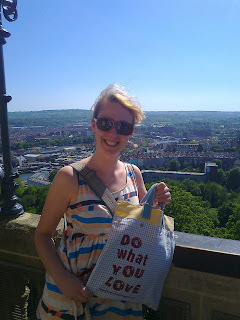 Ooh and I’ve just had an email from Sara, another of the 30DCers who is a photographer and as she likes my project so much has offered to take some professional photos of me and my bags. Excellent! AND I did manage to do a short stop frame animation…had fun making this. Will add some of the new pics to it and once I’ve had all the photos in from the bag’s new owners will add those as well. So this version is a ‘now’ version! So missed most of Eurovision as I was making this video.. Thank you to everyone who’s taken a bag - look forward to getting your photo and seeing you at the picnic. Day 28 - Some more new owners! 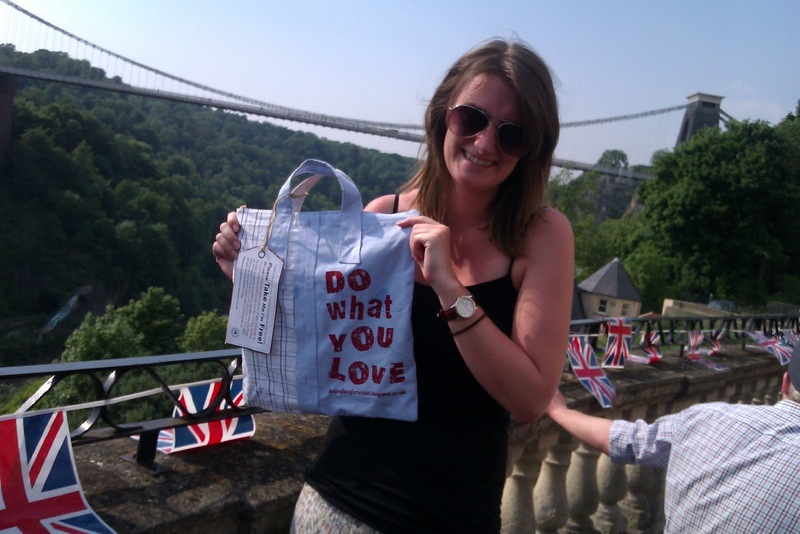 Day 23 – Olympic Torch and bag love! 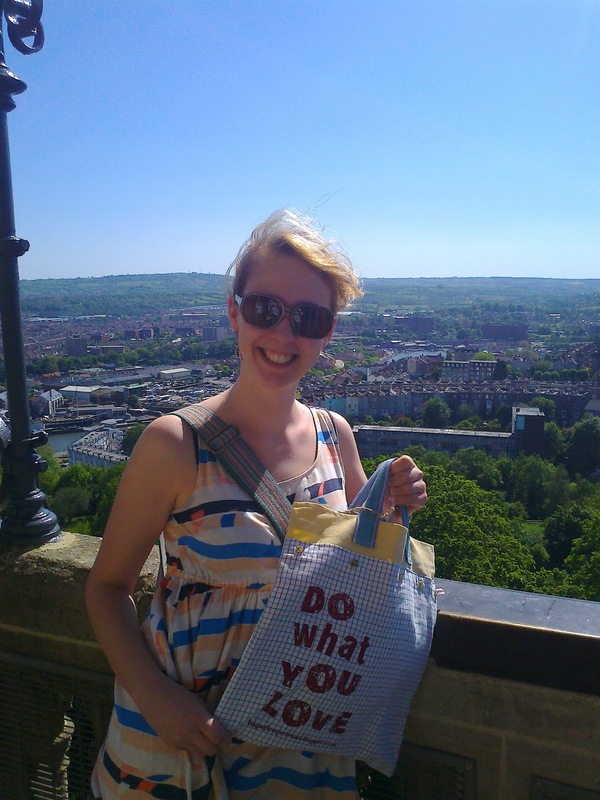 Day 18 – 26 Bags so far and printing commences! Day 4 – Fabric. Sorted.